The advice used to be simple - leave only footprints, take only photographs. But in leaving our footprints and taking our photographs are we still damaging the environment? Is there any impact-free photography left? What steps can we take to reduce our presence even more? This post isn’t meant to be a rant. I’ve got the chance to make people aware of things that they might not have been conscious of, and that’s all this is. If you can make a small change to what you do as a result of reading this, my work here is done. The whole area is fragile - crumbling cliffs and erosion are changing the landscape almost as you watch it. There are security guards in attendance, and signs saying not to stray from the paths to prevent further damage. Yet while I was there, in the space of a couple of hours, I saw 2 different people climb over the ropes, ignore the signs and hike onto the arch itself to take a photo. Each time, the guards had to shout at them to come down, and then explain at length the risks involved to themselves, and the cost involved if search and rescue helicopters were needed. It’s not just a theoretical risk. People regularly die in their pursuit of a photo, most recently the three High on Life members who died in a waterfall in Canada, having previously been barred from US federal lands for trespass in an out of bounds part of Yellowstone National Park. A photographer local to me died as she was swept off a rock shooting seascapes. Wikipedia even has a page now for “Selfie-related deaths and injuries”. I don’t know if Instagram is to blame, for normalising exotic photo locations. Or whether photographers have always thought they could beat the risks in the pursuit of a shot. If you’re shooting outdoors, you owe it to yourself and those who might need to come and rescue you to educate yourself about the landscape. Look up tide times, check the weather, take the right equipment with you, don’t stand on railway lines. Best advice - go with a local guide. Every time you step into the great outdoors you are altering the landscape. When we hike up mountains we add our mite to the scar that the footpath leaves. When we drive to our remote destination, we leave a trail of carbon and pollution in our wake. Unless we arrive by bike and walk only on stone paths, we have made our mark whatever we try and tell ourselves to the contrary. Leave litter. Ever. There’s no excuse. 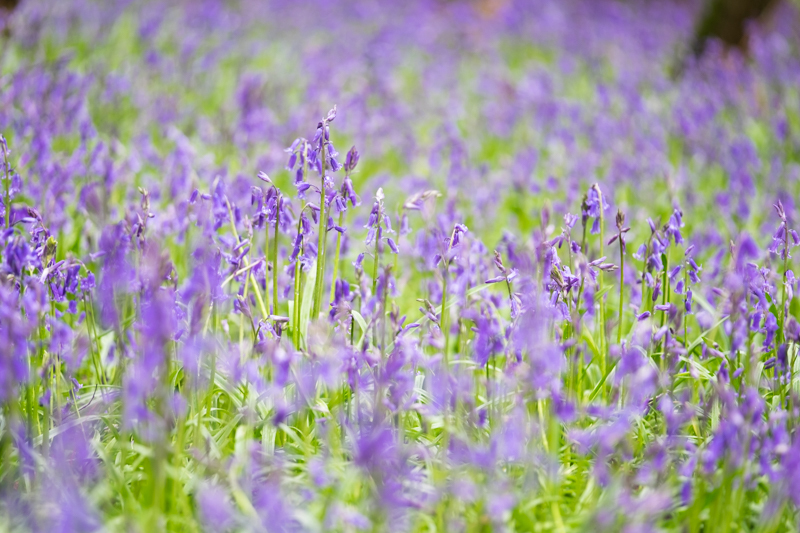 Trample our big boots all over plants in order to get a better viewpoint (did you know that if you step on a bluebell and crush its leaves it will take years to recover?). Visit somewhere without at least considering what our impact will be. If you are one of a pack of photographers elbowing for your space, and lined up on a bridge to get a sunrise shot (read David Clapp’s description here) - you are part of the problem. If you pop your drone up for a quick spin, you are annoying every single person within earshot with its whiny drone noise. If you park next to gates and block access roads, or let your dog off the lead near sheep, or climb over drystone walls, you are being a right pain to the local farmers. It’s not hard to be considerate. We might not want to. We might think the being considerate rules don’t apply to us because we’ve got the chance to get that epic shot. But they do. They really do. Just because you’ve got a camera doesn’t mean normal rules don’t apply to you. Lets make sure there are still iconic shots left to take for our children.